England, 1811. A tarnished reputation. A distant home. A forced engagement to a dangerous man. When Elizabeth Trelawny flees London, she has more than one reason to run. And when her carriage, pursued by her would-be fiancé, is caught in a storm, she quickly accepts the help of a dark stranger. Anything to get back to Cornwall. 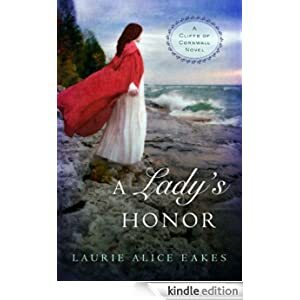 Buy this inspirational historical romance for just 99 cents today.